A stark empty landscape lit with just one eerie object or structure; is it just a spookily shadowed crater or something else? The image below has not been manipulated in any way from NASA's original release on May 22nd 2000. 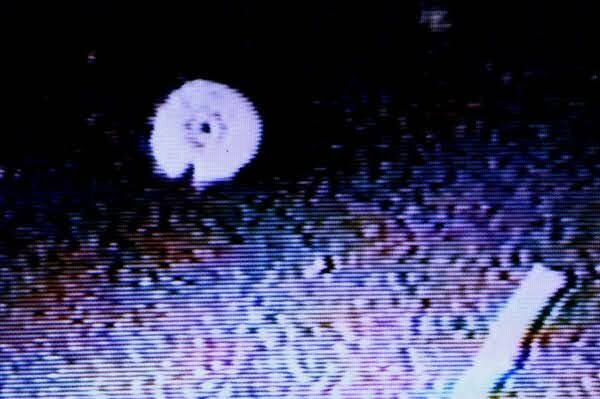 Compare this to many of the UFO's seen in the official NASA tether event from 1997. You can find fascinating footage of the NASA STS-75 tether failure and the subsequent UFO swarm HERE. NASA claims the unidentified objects, such as the one above, were ice particles and debris.